HF, IDJ and Mike T: The company was founded on 15th July 1955. 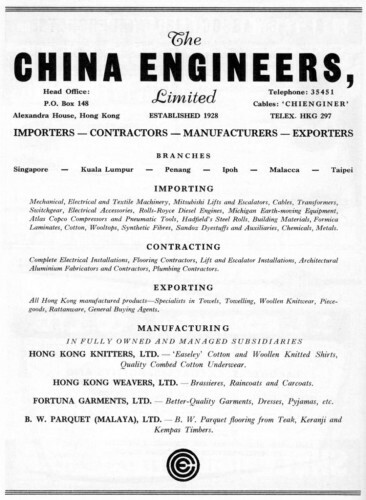 This advert from 1963, sent by IDJ outlines China Engineers Ltd’s interests including Hong Kong Knitters which at that time was manufacturing, ‘Easeley’ cotton and woollen knitted shirts, combed cotton underwear. The company still exists as a part of YGM. 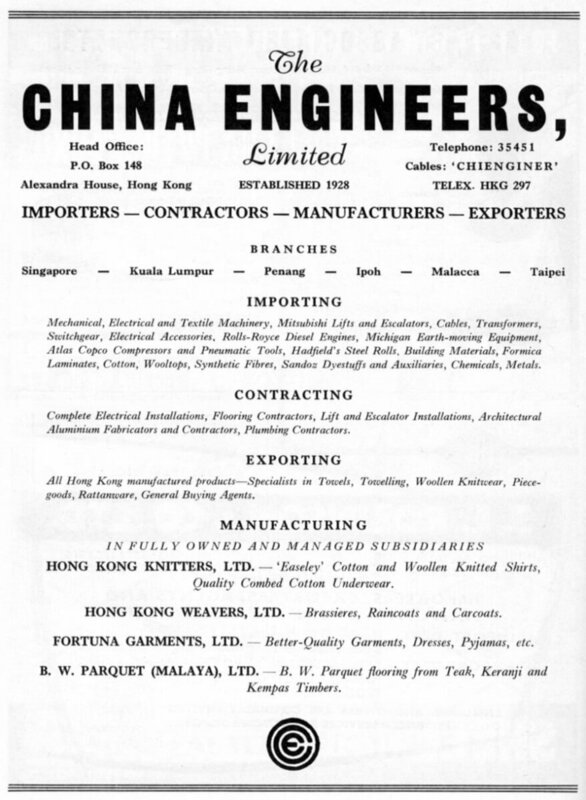 A Chinese name was added in the Hong Kong companies register at the end of 1971, “香港織造有限公司”. This article was first posted on 8th July 2015.